Find It. Schedule It. Pin It. With over 70 million users and 50 billion pins across 1 billion boards, breaking through the clutter on Pinterest is critical to your success. With SnapRetail, you can easily schedule Pins and Boards to go live on Pinterest when your customers will be most active. Plan ahead by scheduling your Pinterest Pins and Boards to publish when you want them to. Use any of your Pinterest Pins as photos in all your online marketing. 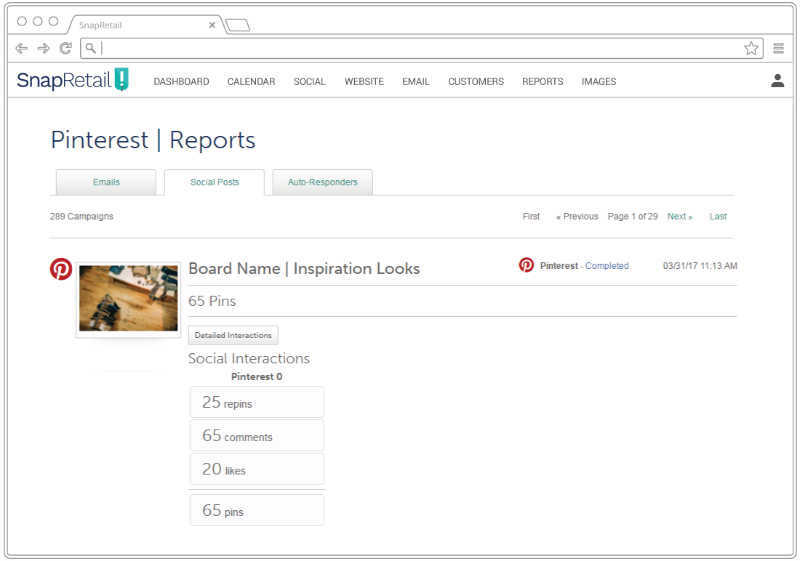 Track the success of your Boards and Pins with our Pinterest reporting. Schedule your Pinterest content to go live when your customers are most active. Create new boards or schedule Pins to existing ones with just a few clicks. 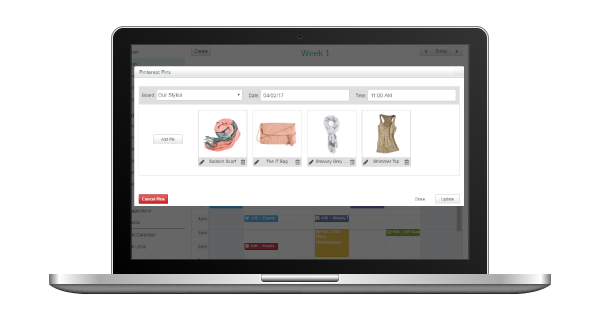 Plan ahead by scheduling a single Pin or multiple Pins to go live when you want them to. Your pins reflect your brand so why keep them exclusive to Pinterest? Your Pins look amazing, so share them with your customers on Facebook and Twitter with one click in SnapRetail. 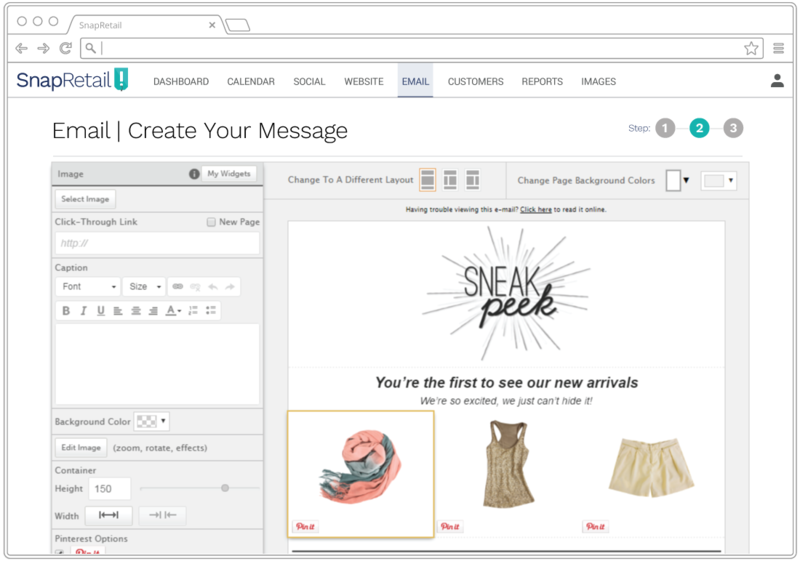 Promote your Pins through email and let your customers Pin them to their boards right from the inbox. 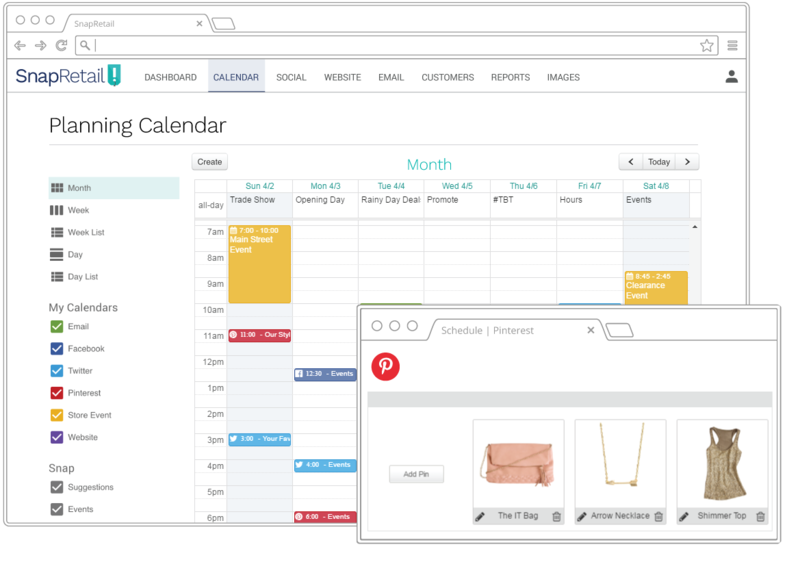 Scheduling is just the start to your Pinterest marketing strategy with SnapRetail. See your success grow… one pin at a time! Use Pinterest reporting to track your growth and see which pins were successful. Maximize your engagement and online strategy.